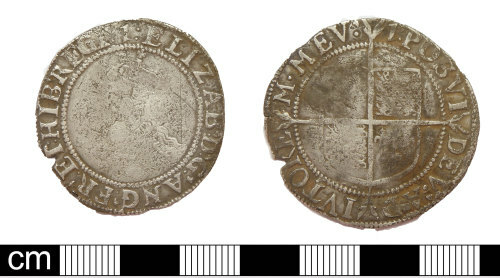 A silver shilling of Elizabeth I (1558-1603), dating to 1601-2. Third issue. North (2006:136) no 2014. Minted at London. One initial mark. It is 32.2 mm in diameter, 1.04mm thick and weighs 5.43 g.